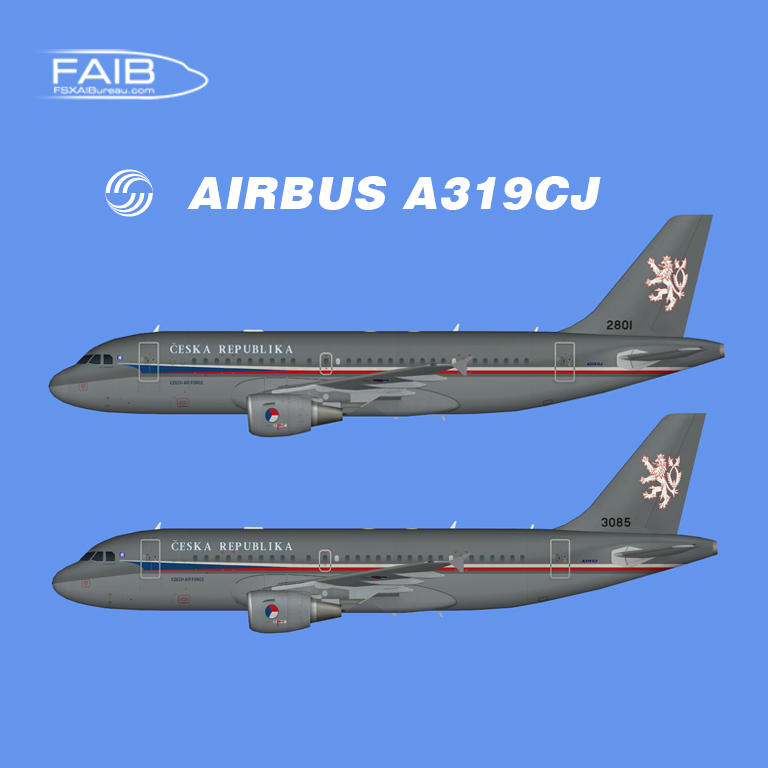 Czech Air Force Airbus A319CJ FSX for the FAIB A319-100 CFM FSX base model. These are FSX textures only. The FAIB A319-100 CFM FSX base model are required.